PT Pupuk Indonesia (Persero) - Pupuk Indonesia or known as Pupuk Indonesia Holding Company (PIHC) is a leading state-owned fertilizer holding company in Indonesia. PIHC engaged in fertilizer, petrochemical and agrochemical industry, distribution and trade, as well as Engineering, Procurement, and Construction (EPC). PIHC is a non listed state-owned company and is 100% owned by the Government of Indonesia. 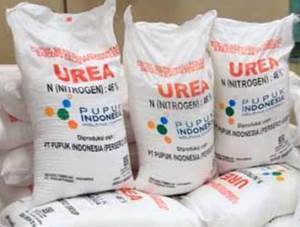 Based in Jakarta, PIHC now has 14 Urea Plants and 13 Ammonia Plants throughout Indonesia. PIHC's business activities are operated by 11 subsidiary companies; namely PT Petrokimia Gresik (99.99%), PT Pupuk Kujang (99.99%), PT Pupuk Kalimantan Timur (99.99%), PT Pupuk Iskandar Muda (99.99%), PT Pupuk Sriwidjaja Palembang (99.99%), PT Rekayasa Industri (90.06%), PT Pupuk Indonesia Logistik (55.77%), PT Mega Eltra (98.72%), PT Pupuk Indonesia Pangan (90.86%), PT ASEAN Aceh Fertilizer (60%) and PT Pupuk Indonesia Energi (90.0%). According to information found in PT Pupuk Indonesia (Persero) Annual Report 2017 as cited by JobsCDC.com, PIHC managed to record good performance in 2017. PIHC booked total revenues of Rp58.94 trillion in 2017. This number equivalent to 92% of the Company’s 2017 Work Plan and Budget (RKAP) set at Rp64.16 trillion. Compared to the previous year, total revenue recorded by PIHC in 2017 decreased by 8%, in which the revenue of PIHC in 2016 reached Rp64.16 trillion. As of December 2017, PI’HC's total net income fell from Rp3.53 trillion to Rp3.08 trillion. The achievement of total net income in 2017 was far above the target of RKAP 2017 set at Rp2.05 trillion. GPA >= 3.25 for accreditation B BAN PT. Engineering : Industrial Engineering, Instrument Engineering, Physics Engineering, Chemical Engineering, Environmental Engineering, K3, Electrical Engineering, Mechanical Engineering, Metallurgy Engineering, Civil Engineering, Electrical Engineering, Informatics Engineering. Economy: Financial management, Marketing Management, Accounting, HR Management. Agriculture: Agrotechnology, Agronomy, Agribusiness, Aquaculture. JobsCDC.com now available on android device. Download now on Google Play here. Please be aware of recruitment fraud. The entire stage of this selection process is free of charge. PT Pupuk Indonesia (Persero) - Fresh Graduate Program Pupuk Indonesia Group October 2018 will never ask for fees or upfront payments for any purposes during the recruitment process such as transportation and accommodation.